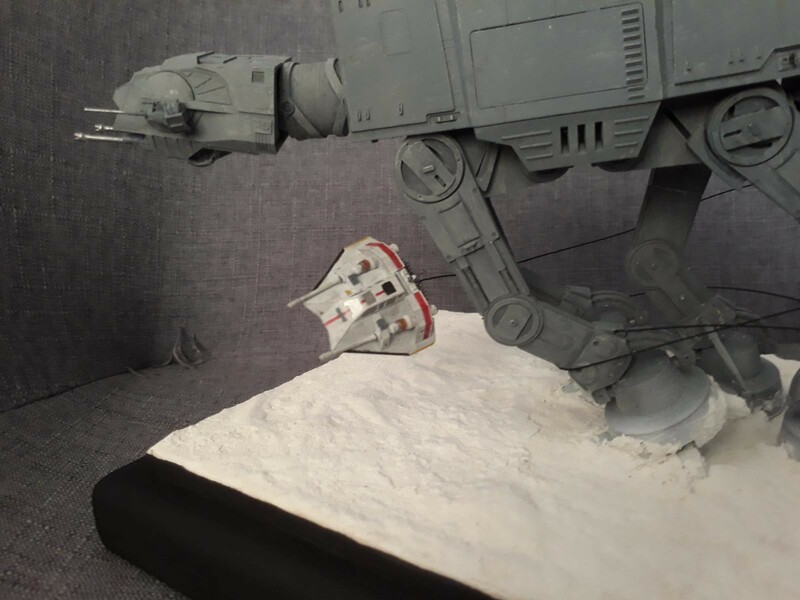 Anyone who has seen the 2nd Star Wars movie “The Empire Strikes Back” will know this iconic scene. 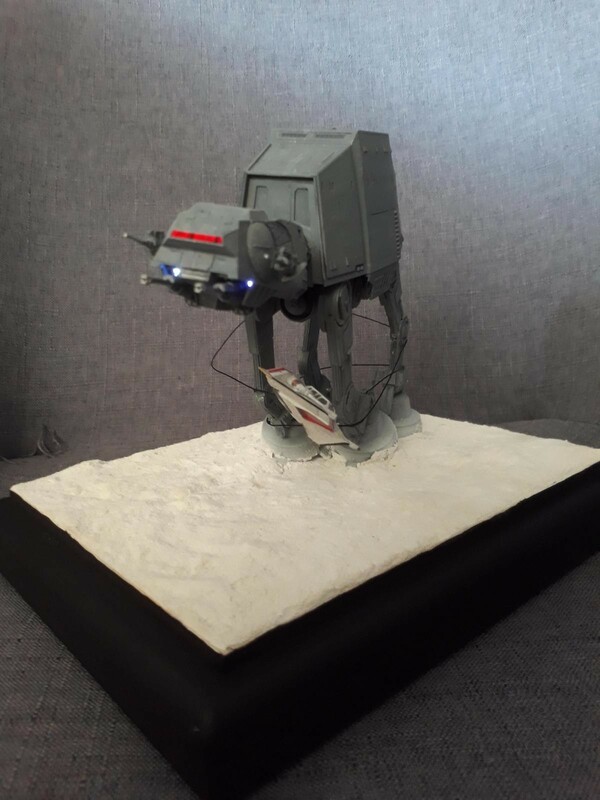 Here I have made it using the Bandai 1/144 scale Snow Speeer and At-At Walker. If you havent made a Bandi kit, do yourself a favour and try it. They fit together like a glove and even though they are branded as ‘snap together’ dont be fooled, they are a very complex and detailed kit with lots of parts and give an outstanding result. Each leg has 3 points of movement as well as each ‘toe’ on each foot being moveable. The cockpit can also swivel on the neck. You can pretty much cofigure it anyway you want to achieve the finish you want. 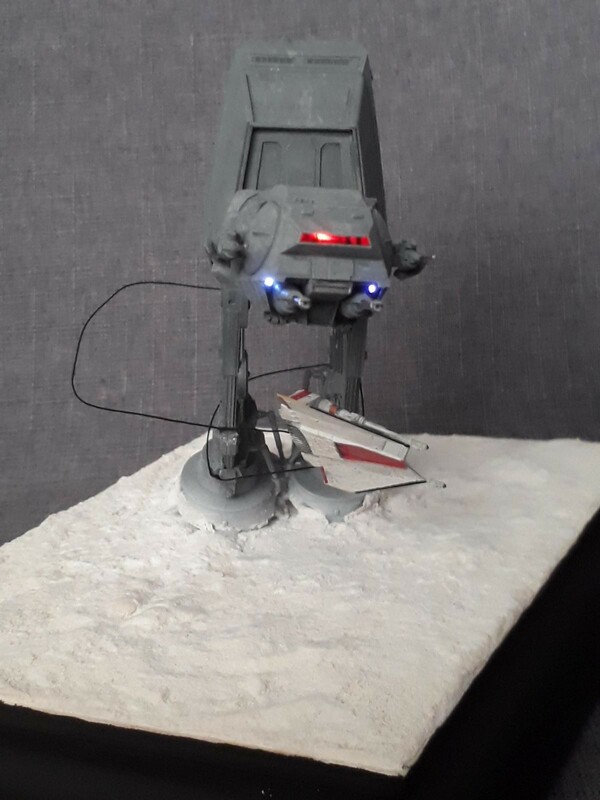 I also splashed out and brought a lighting kit that gave it working headlights and cockpit lighting (Ebay is going to bankrupt me haha). 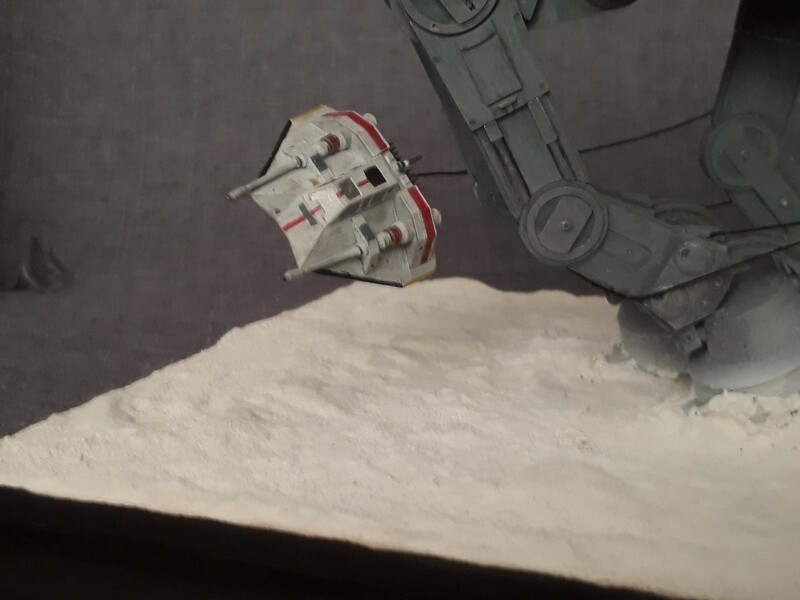 I used 15Amp fuse wire for the cable as that was as thin as I could go and still ‘just’ support the weight of the snow speeder. This Kit From Amazon You Can Get. Awesome work. Brings back some fond memories. So cool. 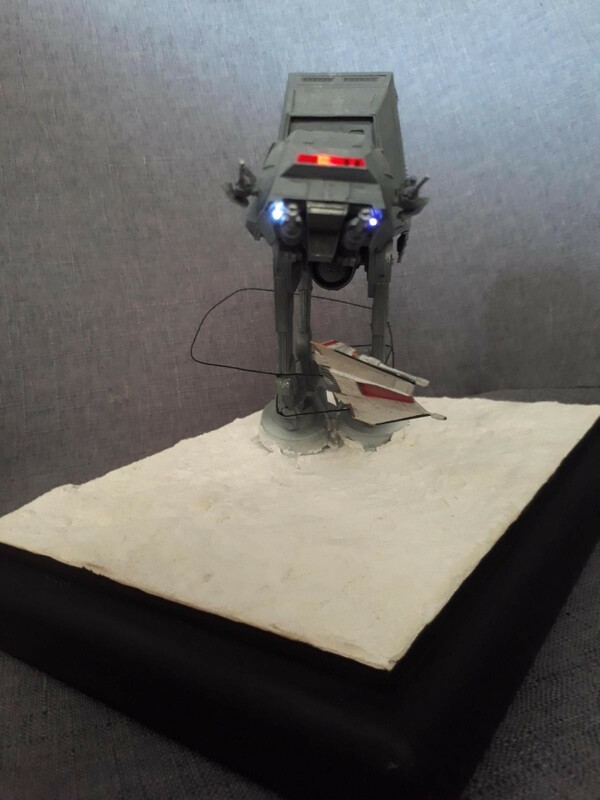 Love Star Wars builds. Nice job my friend. Wow, great! You are a time freezer! I want try it. Great work. 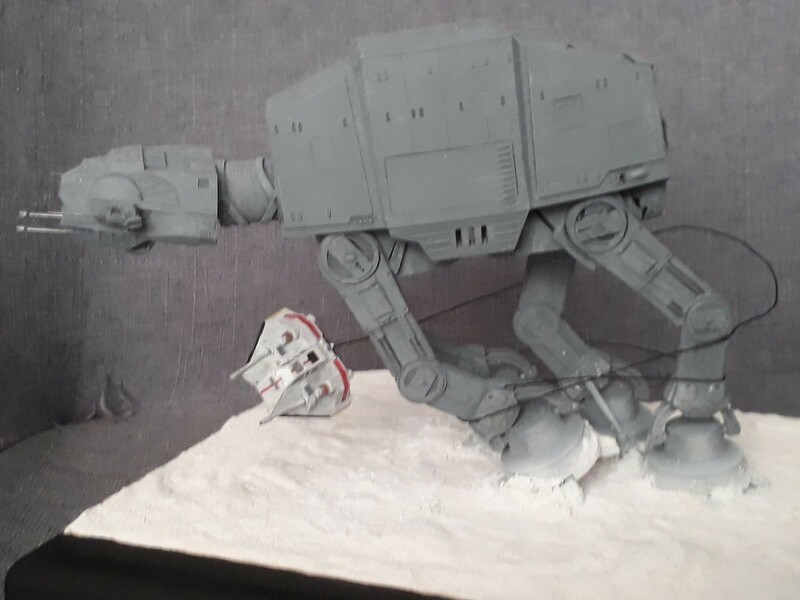 The Walker in mid fall is perfectly positioned. That’s what sells it. Very nice Sci-Fy scene. Great presentation. Carl, you are a star. As Michael says, it’s the dynamism of that mid-fall that catches the eye. Beautifully done. 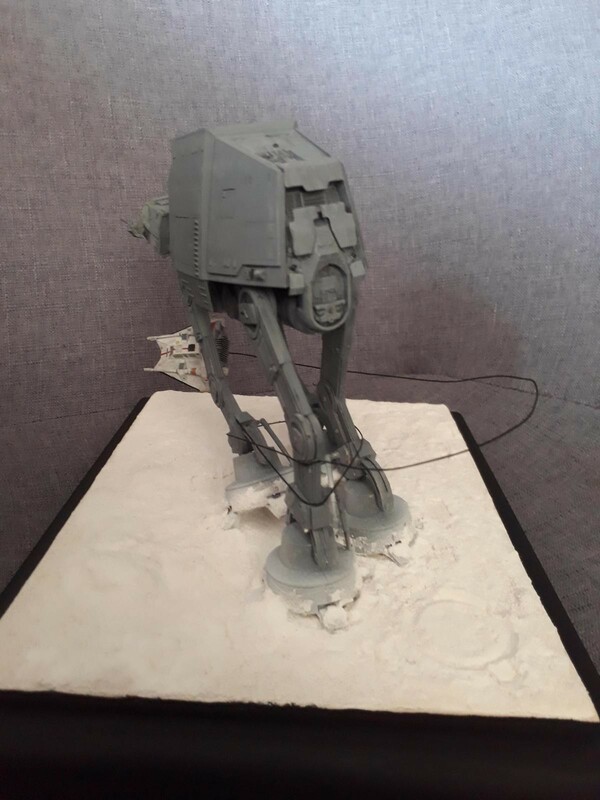 Hoth was the Empire’s Stalingrad. Or Napoleon’s Borodino. Seems that all the tyrants fall in the snow. Well done! As stated, an iconic scene captured in tension. Outstanding work! 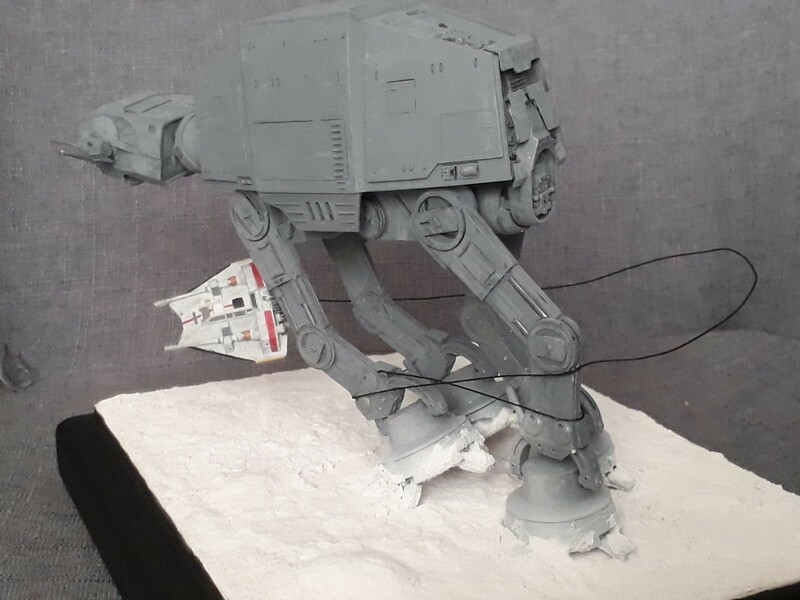 The Walker in mid-fall is outstanding as is the speeder which floats ((or zooms) without support. Fantastic work Carl ,I love it !. CABLE’S OUT, LET ‘ER GO!!! 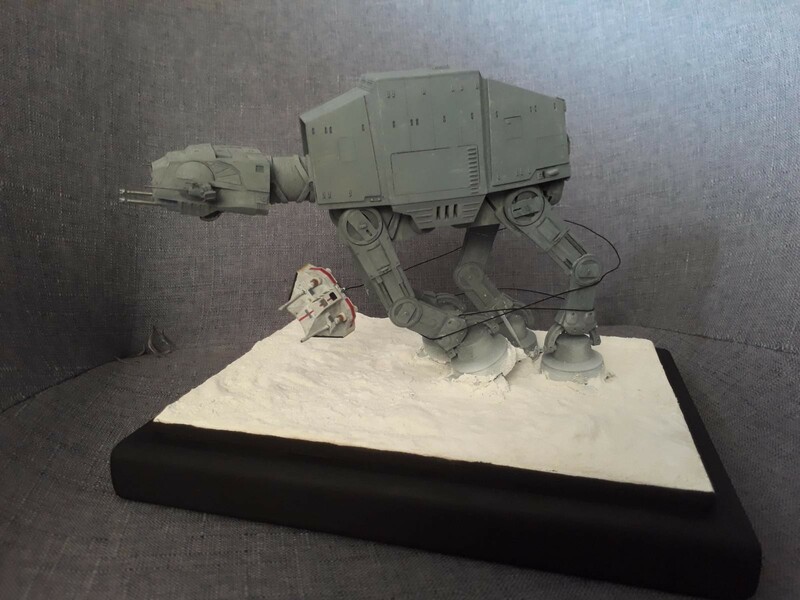 The action, the motion, the AT-AT in mid-fall and the snow speeder in the air – just SUPER. This is really good! Thanks Tom. 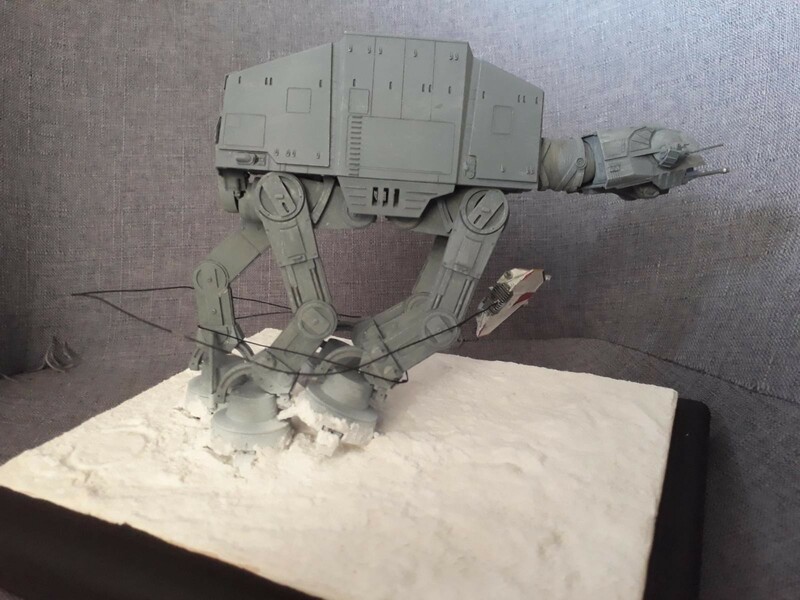 The AtAt kit is great, you can put its legs anyway you want which makes all the difference.